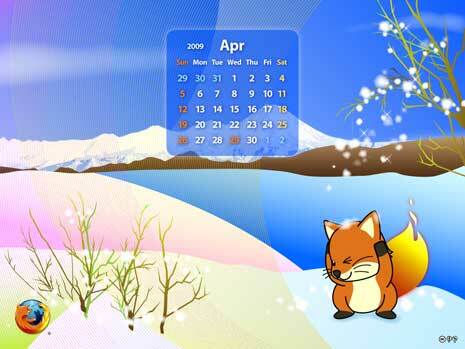 If you are a fan of Firefox web browser and want to see that cute foxy Firefox fox on the desktop all the time, then checkout collection of monthly Firefox calendar wallpapers. You can download cool looking Firefox wallpapers for every month showing calendar and fox on the wallpaper. Each wallpaper is available for download in number of display resolutions. You can download monthly Firefox calendar with or without calendar and even send the picture via email to your phone. Checkout Firefox monthly calendar wallpapers [English version here].